Vacuum cooler is based on the rapid evaporation of water from produce under low-pressure situations. 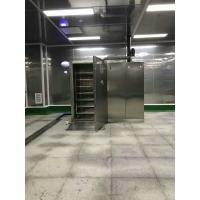 During the process energy in the form of heat is required to change water from a liquid to a vapor; So vacuum cooler can fast cooling down the temperature of produce within 30 minutes. 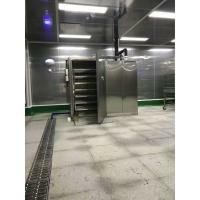 Vacuum cooling is the quickest and most cost-efficient cooling system for vegetables, fruits and flowers. The vacuum cooling technology can strongly improve your product quality and st the same time reduce the cooling cost. So that it is now becoming an acceptable investment for almost all vegetable growers. a. Vacuum chamber--To load your vegetables. b. 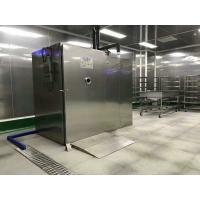 Vacuum system--To takes away the air in vacuum chamber, then cool the vegetables down. 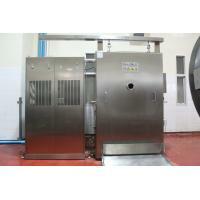 c. Refrigeration system--To catch the water vapor in ths chamber so as to ensure the continous cooling process. d. Control system---To control and show the working condition of the vacuum cooler. 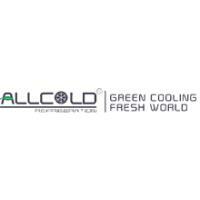 ALLCOLD is the most professional manufacturer of Vacuum cooling systems and ice making machines in Asia, allcold also specialized in designing and manufacturing of high quality ice making machines(Tube ice machine, flake ice machine, block ice machine, and plate ice machine) We have earned the position of dependable supplier among a vast global clientele due to consistency in quality of our product range and services offered to the clients. As a well established manufacturer and exporter, we lay special attention to our manufacturing process and delivery of products: Tube ice machine, flake ice machine, block ice machine, and plate ice machine. We take utmost care of quality at every stage of the manufacturing process. Our staff of highly qualified engineers combines the benefits of irreplaceable practical experience with the sophisticated accuracy of our own interactive graphics computer system enable us to provide high quality product, prompt deliveries, dependable service, and outstanding customer satisfaction. 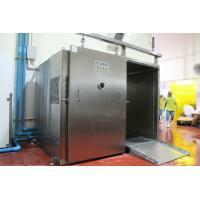 ALLCOLD is known across the world for our high quality equipments and our quality controls sy. We have a hi-tech production unit that uses the latest technology and the most modernized machinery. We have a strong and proficient workforce, comprising of technically skilled professionals and efficient workers. Our research and development wing is our asset that develops and incorporates innovative ideas and products. Our products: Flake ice machine, cube ice machine, tube ice machine, and block ice machine are globally known for their dimensional accuracy, high efficiency & durability and they are used in various fields such as aquatic food processing, supermarkets, healthcare centers, man-made skiing resort, mines, large-scale concrete construction, etc. The product model ranges from small-sized ice machines with a daily output of 230kgs to large-sized sets of ice making system up to 60tons in 24hours and 85% of our ice making machine' S components are imported and all undergo rigorous monitoring and quality control system to ensure superb quality of our flake ice machine, cube ice machine, tube ice machine, and block ice machine. We pride ourselves on quality, service and pricing, and believe that all three areas are equally important to ensure the long-term success of your overseas purchasing program. Our sustained relationship with customers serves as testimonial for our high quality products. The fusion of superior quality and reasonable prices make our products capable of influencing anyone in the whole world. Our reputation in the market is synonymous with high quality, updated technology and dedicated approach.